In a significant contrast to their Chinese counterparts, Indian firms have so far tended to prefer developed Western countries for their investments, notes Rajnish Tiwari, Head of the German-Indian Round Table (GIRT) in Hamburg. Germany, along with the US and the UK, has emerged as a primary target for Indian FDI, he adds, in Investment destination Germany: Chances & challenges for Indian firms (www.ssrn.com). “With its established technological prowess, high-quality infrastructure and reliable institutional set-up, Germany is regarded as an excellent investment target by many Indian firms in their pursuit of newest technologies and commercially viable cutting-edge innovations,” Tiwari reasons. The paper concedes that, since many Indian companies prefer to channelise their FDI projects to Germany through their existing domestic subsidiaries or through their daughter concerns in other European countries, the official data fail to capture the true extent of Indian engagement in Germany. 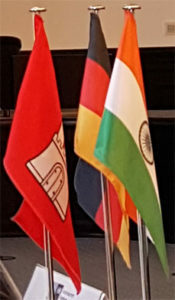 Tiwari urges Indian firms, therefore, to take advantage of Germany’s excellent physical infrastructure and technological know-how, including in the eastern part, while combining it with their own strengths in production, marketing, low-cost engineering, and business model innovations. Provides pointers that you may like to explore in detail.